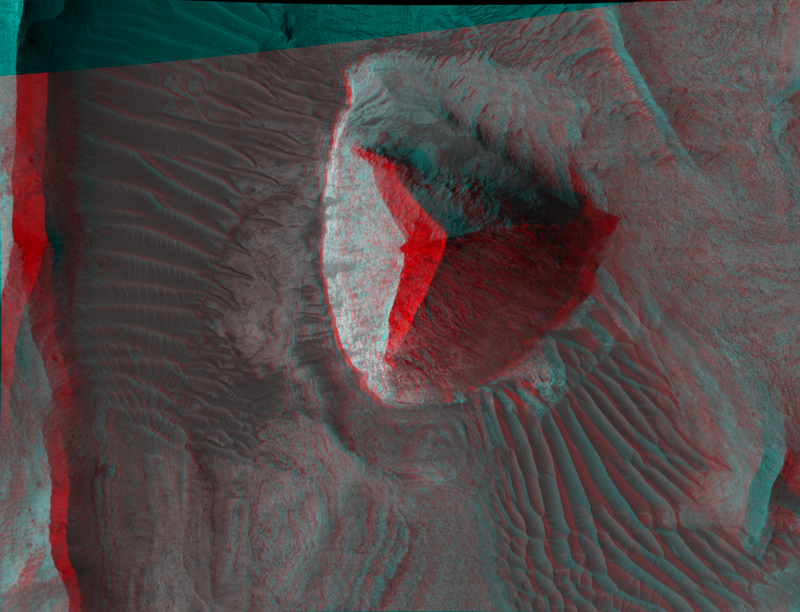 While I find the paper interesting reading, Haas and Saunders do not include BOTH the stereo MRO images of the pyramidal "Spire" location which, when the two stereo images are forged into a 3D anaglyph as I have done below, in my opinion show clearly an unusual pyramid albeit natural formation. Sorry George, but you should have included both stereo MRO images for such an important discovery and analysis. Last edited by M-Albion-3D; 02-04-2018 at 07:57 AM.